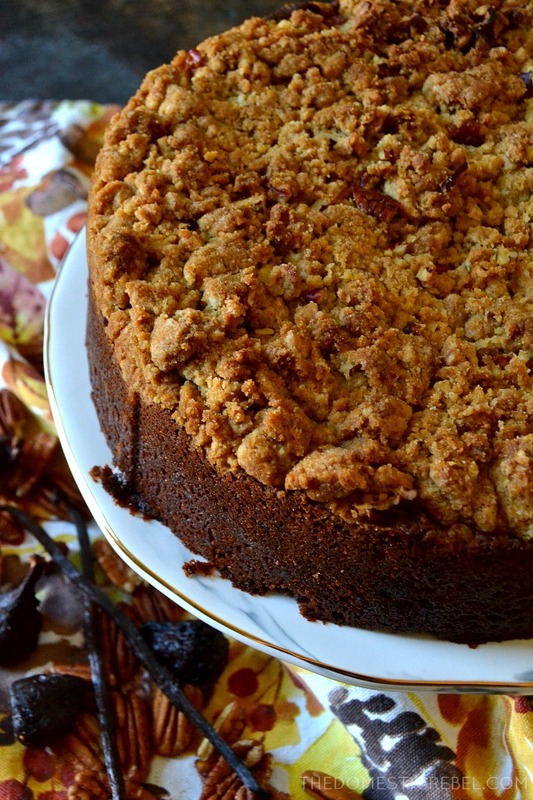 This buttery, moist Fig & Vanilla Bean Crumb Cake will become your new favorite! 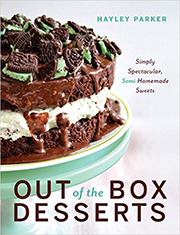 With a sweet, sticky fig flavor and flecks of warm vanilla beans, it’s sure to please everyone! I’m here to formally apologize to fruit, because I don’t bake with you nearly as much as I should. And with my apology, comes my amends to bake with fruit more often because the results are always delicious. The end. Well, actually, the beginning, because I have this amazing cake to talk to you about. 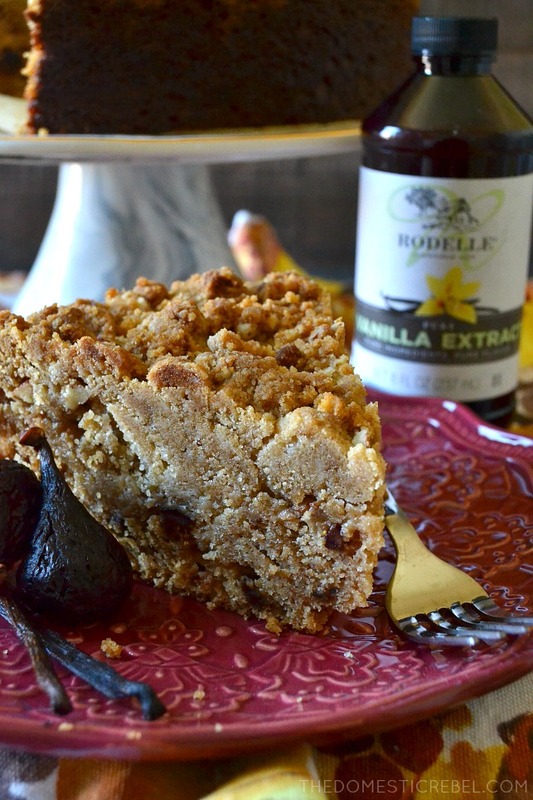 As you know, I’m a brand ambassador this year with Rodelle Vanilla, and this month, Rodelle teamed up with Valley Fig Growers and asked me to create a recipe featuring both figs and vanilla. I was so game and began brainstorming the perfect future love-child of this lovely pairing. And then I realized: I have never even baked with figs before! I was trying to think of things more inventive than the obvious eponymous cookies on the market, and then it hit me: CRUMB CAKE! It was a genius decision, I must say. 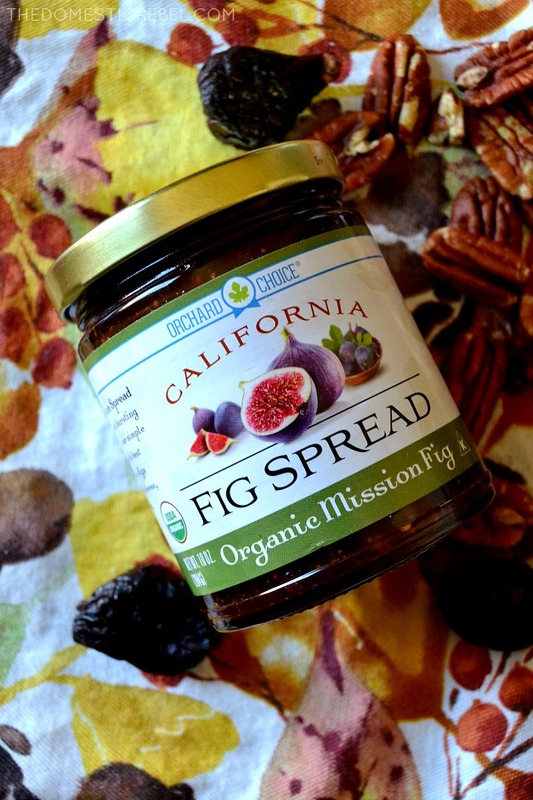 I took my usual crumb cake recipe and folded in an entire jar of this glorious fig preserves. 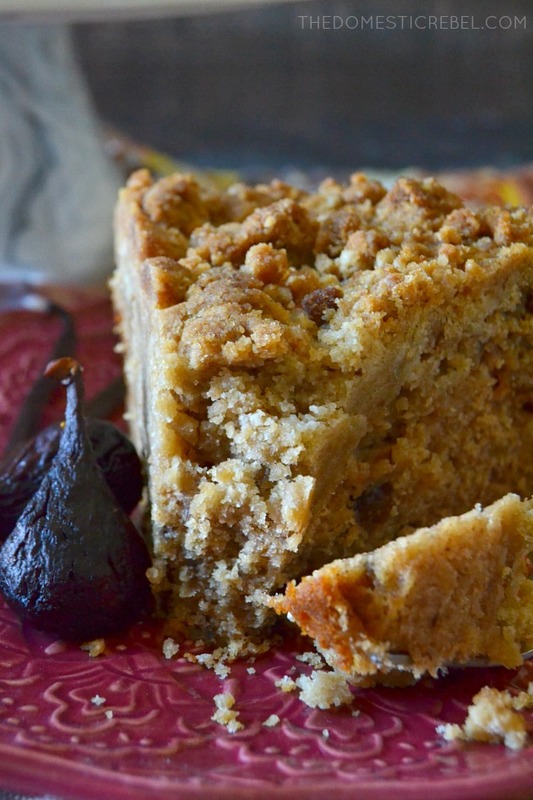 Sticky, sweet and somewhat subtle in flavor, it paired up beautifully with the buttery cake. But throw in some Rodelle vanilla extract and scraped vanilla bean caviar and it sent this cake over. the. TOP! I tossed in some pecans to the brown sugar streusel just for some texture, but you could leave those out if you wanted, or substitute with almonds or walnuts, even. And for a little more fig flava, I added in some chopped dried figs to the batter. The secret to making sure your chopped figs don’t sink to the bottom of the cake? 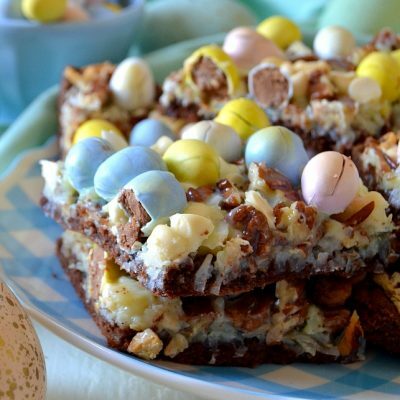 Toss them with a little bit of all-purpose flour before you fold them in and they’ll stay “afloat” in the cake! 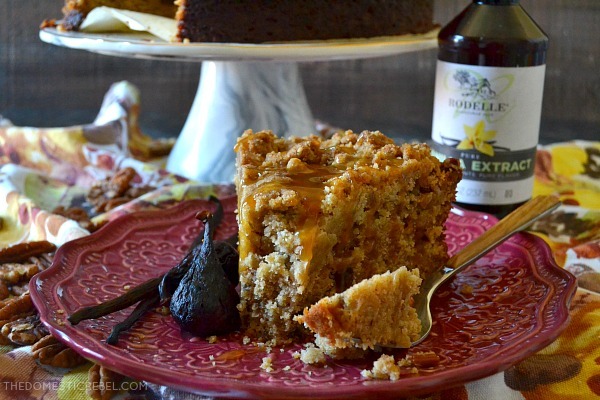 The combination of warm, aromatic, floral vanilla beans and sweetened dried figs was a dreamy pairing combined with brown sugar, butter, and nutty pecans. This cake was seriously delicious and would be a killer Thanksgiving or Christmas brunch option since it could go for breakfast or dessert! 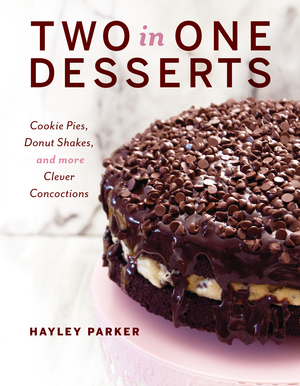 But you guys… you have to try this cake, like yesterday. 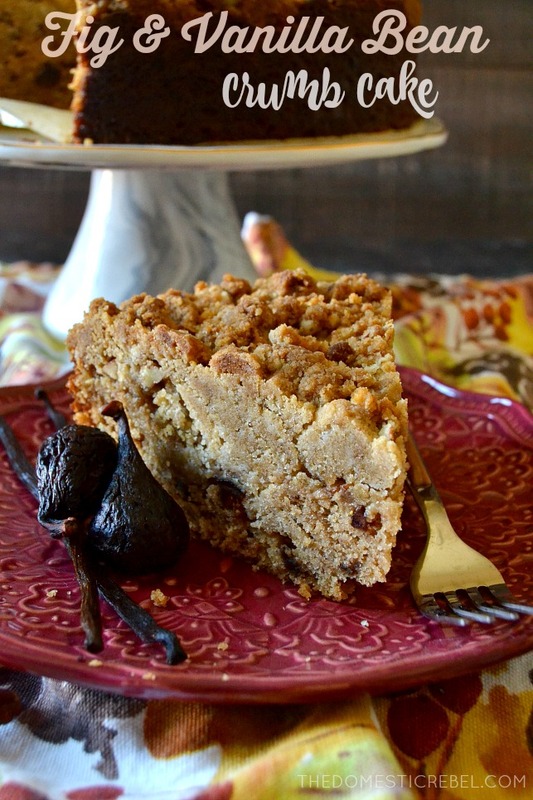 This Fig & Vanilla Bean Crumb Cake is a beautifully flavored, perfectly moist cake you HAVE to try to believe! Preheat your oven to 350 degrees F. Lightly grease a 9" round springform pan with cooking spray, then place a parchment round in the bottom and spray again. Set aside. In a large bowl, combine the streusel ingredients with a spoon until moistened and crumbly. Set aside. Meanwhile, in the bowl of a stand mixer, cream the butter and granulated sugar together until fluffy, about 1 minute. Beat in the eggs, one at a time, followed by the vanilla and vanilla bean caviar. Add in the Greek yogurt/sour cream and mix well, followed by 2 cups of the flour, the baking powder, and baking soda until a smooth batter comes together. Lastly, beat in the fig preserves. In a small bowl, combine the chopped figs with the 2 Tbsp flour until coated; fold the flour-coated fig pieces into the cake batter gently. Pour the cake batter into the bottom of the springform pan and smooth out the top. Top with huge, liberal handfuls of the crumb mixture. It will seem like a lot of crumb, but use all of it! Bake for approx. 50-60 minutes or until a toothpick or cake tester inserted near the center comes out clean or with moist - not wet - crumbs. Cool completely before serving. Serve with caramel sauce, if desired. 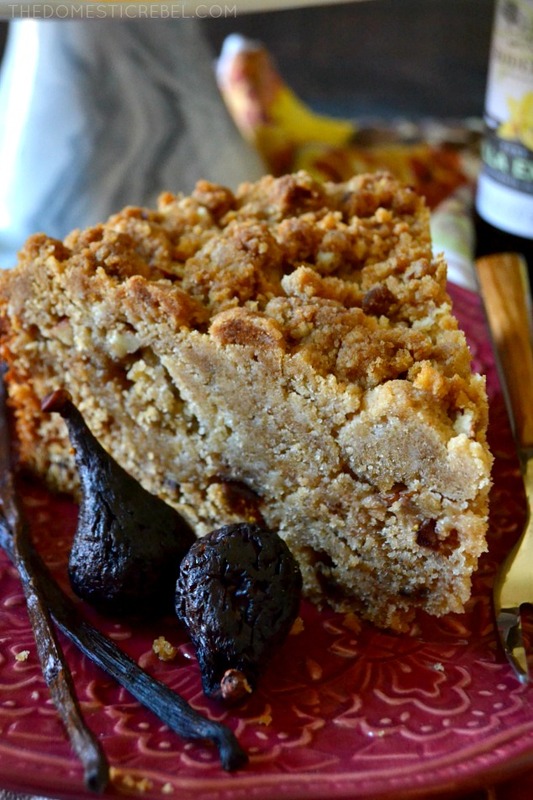 This crumb cake is so flavorful and delicious with a subtle sweetness from the figs and a delicate floral flavor from the fresh vanilla bean. You’ll love it! For more information on Rodelle, be sure to visit their website and follow them on Pinterest, Facebook, Instagram, and Twitter! For more information on Valley Fig Growers, visit their website and follow them on Facebook, Instagram, Pinterest, and Twitter! In the interest of full disclosure, I am a brand ambassador for Rodelle. I was compensated for this post, but all opinions are 100% my own. Thanks for supporting the brands that keep my blog alive!